Plus-sized actors have always struggled in the industry and have many a times resulted in body shaming. 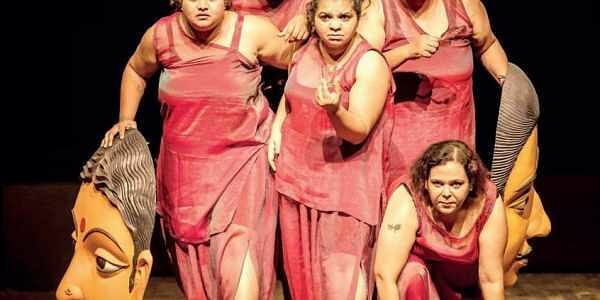 BENGALURU: Plus-sized actors have always struggled in the industry and have many times resulted in body shaming. They are forced to confine to specific roles which has hindered their growth as actors. To change the perspective of the people, a group of five plus-sized actors are coming together to present a play Head 2 Head change the perspective of the people with their first public production by the Big Fat Company (BFC) which is under the banner of Untitled Arts Foundation. The play is adapted from the famous Kannada play Hayavadana by Girish Karnad. It raises social, cultural and political questions that they have personally faced for being plus-size actors in today’s world. "We just referred it," says Shabari Rao, the director of the play. According to her, the Head 2 Head raises questions about identity, mind and body and have used three sections from the play Hayavadana. However, other sections of the play was devised based on experience and ideas from both the director as well as the actors. "The five actors play a huge role in the script and this is a collaboratively created play," Shabari adds. Anuradha HR, the founder of BFC, started the company in July last year to bring a platform for plus-sized actors as well aspiring actors where they do not need to prepare their body for a particular role. The latter, who has been in the industry for 20 years and has acted in 30 to 40 plays, says she has experienced stereotypes. Plus-size people are given comic or older people's roles. “When I was 19 years old, I was asked to perform an 80-year-old woman,” she says.The main goal of the company, which currently has 15 plus-sized actors, is to bring body positivity and ensure that these actors can experience various roles and grow career-wise. The story is about two close friends Devadatta and Kapila, both a ‘man of intellect’ and a ‘man of body’ respectively. Their friendship gets complicated when Devadatta marries Padmini because Padmini is also attracted to Kapila. This leads to tension between Devadatta and Kapila and results in the friends beheading themselves. Padmini then transposes their heads, ending up with Kapila’s head on Devadatta’s body and Devadatta’s head on Kapila’s body. The result is a confusion of identities which reveals the ambiguous nature of human personality and raises important questions of the nature. Head 2 Head will be staged on April 7 at Ranga Shankara, J P Nagar, 7.30pm. The actors performing are Sushma SV, Sneha Kappanna, Sharun Robin, Krithi Bettadh and Anuradha Rao.